Magic has never gone out of fashion – people will always enjoy being spellbound by feats and illusions that seem to defy physics and reality. And good magicians will always be premier entertainment. 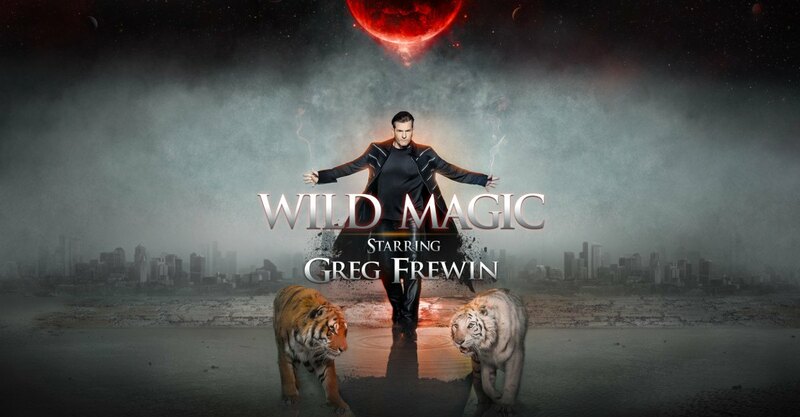 Greg Frewin isn’t just good – he’s one of the world’s best. In 2009 he was the World Magic Awards Magician of the Year and is highly decorated in the International Brotherhood of Magicians and the Society of American Magicians – he’s won every major international award in the field of magic and illusion. He’s performed all over the world, and now headlines his own theatre in Niagara Falls. The Greg Frewin Theatre is a dinner theatre located in the heart of Niagara Falls. It seats over 600 in a Las Vegas style setting, offering a buffet dinner along with the 90 minute show. Greg Frewin’s style certainly has echoes of the Vegas greats, to suit the aesthetic – his shows are full of dazzle, dancing assistants and exotic animals, providing a full on-stage spectacle to accompany the magic. The three tigers that take part in the illusions are show-stealers. For enthusiasts, the theatre offers add-ons that can enhance the experience and make the night unforgettable – from VIP perks to backstage passes, including the opportunity to get up close and personal with the tigers and get some photos taken, or have a chat with Greg Frewin himself (after receiving an autograph, of course). Of course, not ever show at the theatre has Greg Frewin in it. To add some variety, the theatre also offers a concert series – generally a combination of gala events, Vegas style shows and tribute acts. But the shows that feature the theatre’s namesake are the main drawcard – a consistently dazzling spectacle that both entertains and wows audiences, and will continue to do so for years to come.